Zenimax and Bethesda Softworks have announced that their MMORPG set in the same world as the wildly successful Elder Scrolls series, The Elder Scrolls Online, will be transitioning this upcoming spring into a buy-to-play model. That means no more monthly subscription fees. Instead, users can pony up a premium fee that gets them DLC, in-game goodies, and other bonuses, but otherwise the game will made free to play online after initial purchase of the game itself. This comes in anticipation of the games release on PS4 and Xbox One this June, and will follow in the same model. Players on PC who already own the game will no longer be charged a monthly fee as of March. 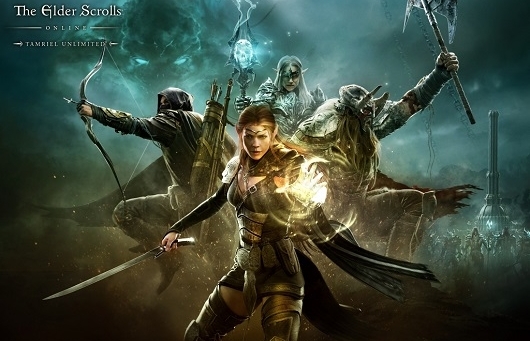 Also, the game will be re-branded as The Elder Scrolls Online: Tamriel Unlimited. Continue reading for more and to check out their cinematic video “The Confrontation” below. Sounds like a bold move that might help improve the success of the game which has under delivered in comparison the Bethesda’s last game, the epic masterpiece Skyrim. Will this move entice you to enter the fray in Tamriel?